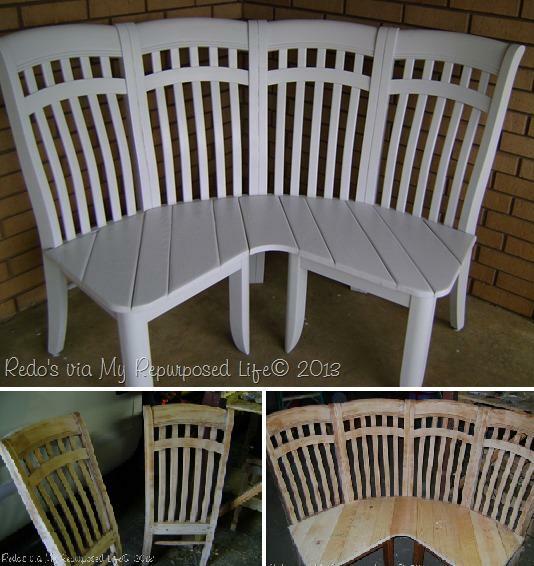 Today’s featured project… I will never look at old chairs the same again! This is a brilliant idea. Take a few old chairs and re-purpose them into a corner bench. I love how the wood for the seat portion ties it all together so nicely.